Ladies and gentlemen, the day has arrived. 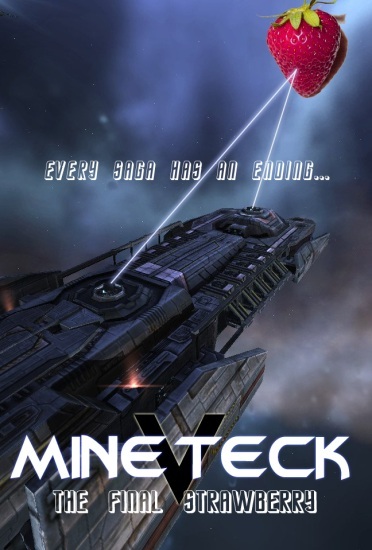 Today I keep a promise that I made long ago to a highsec ice miner named Mine Teck. I didn't become the Father of the New Order and Saviour of Highsec by breaking promises. If I make a promise, I always keep it. It may not be today, but eventually, it will happen. It has been months since our last shareholder vote. The New Order has grown by leaps and bounds since then, with tens of thousands of new shares having been purchased. More than 400 EVE players own shares in the New Order. In the past, I would send an EVEmail to everyone letting them know about the vote, and I would also "freeze" the number of voting shares based on what was owned by whom at the time the vote opened. We'll do things a little differently this time around. No more wasting time. Let's get right to it. Should Mine Teck be treated as a member of the New Order family in good standing? [ ] YES, he probably paid for mining permits to begin with, and he has already been through enough of an ordeal. [ ] NO, he is an impenitent Code violator and resistance communications network backbone, and he should be ganked and/or bumped on sight as is proper under the Code. [ ] He can run where he's highest when he picks up STRAWBERRY. Shareholders may vote either YES, NO, STRAWBERRY, or ABSTAIN by replying in the vote thread on EVE-O, or by sending me an EVEmail. The voting period will last from now until Thursday, May 9th at 01:00 EVEtime. I'm proud to have done my civic duty in this important event. Vote today, let your strawberries be heard! I am very intrigued by the STRAWBERRY option... but I wonder what it entails. Thank goodness that I had the foresight to purchase enough shares that I could vote for both "No" and "Strawberry". I would've been unable to choose between the two of them. I kinda wish we had more options; it would be nice to vote 1/3 of my shares for "No", "Strawberry", and "No Strawberry", respectively. I suppose I'll have to give the matter more consideration. Can I vote absentee? 25 votes for NO, and 25 for STRAWBERRY - just like 290! Still a bunch of idiotic trolls I see. Mmh...trolls like to insult and provoke negative reactions. You know who's the troll? You. Just checked the exit polling... It's not looking good for Mr. Teck.